Playa Hermosa Near Jaco is a surfer's paradise! Considered as having one of the best surf breaks, the Playa Hermosa on the Central Pacific is a great destination for the avid surfer! As part of the Puntarenas province, this beach is not to be confused with the other Playas Hermosa in Costa Rica since there are 4 of them! In Spanish, Hermosa means beautiful, and there is not much about Costa Rica that isn’t beautiful. 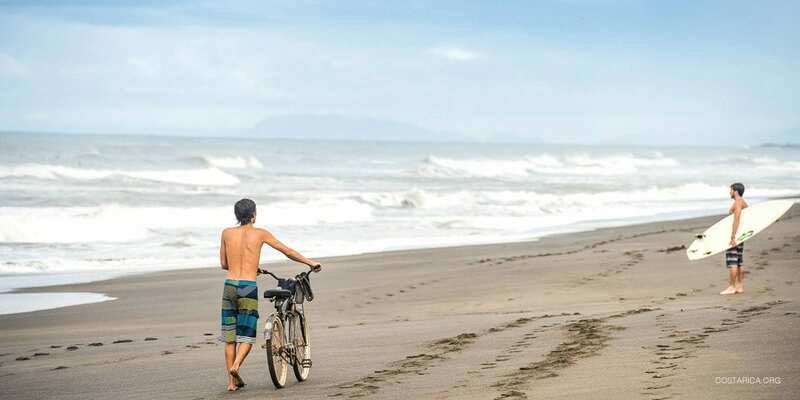 Located close to the other famous beach destination of Jaco, Playa Hermosa is the perfect beach for the surfer who also loves a party. 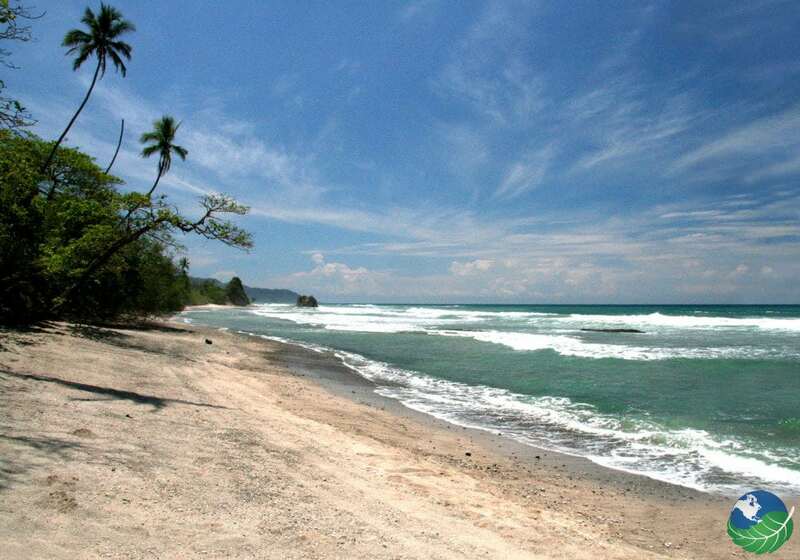 Playa Hermosa near Jaco is perfect for a romantic getaway as well as an active family vacation. The stunning beach offers plenty of activities for kids and the National Park will open their eyes to the beauty of nature. 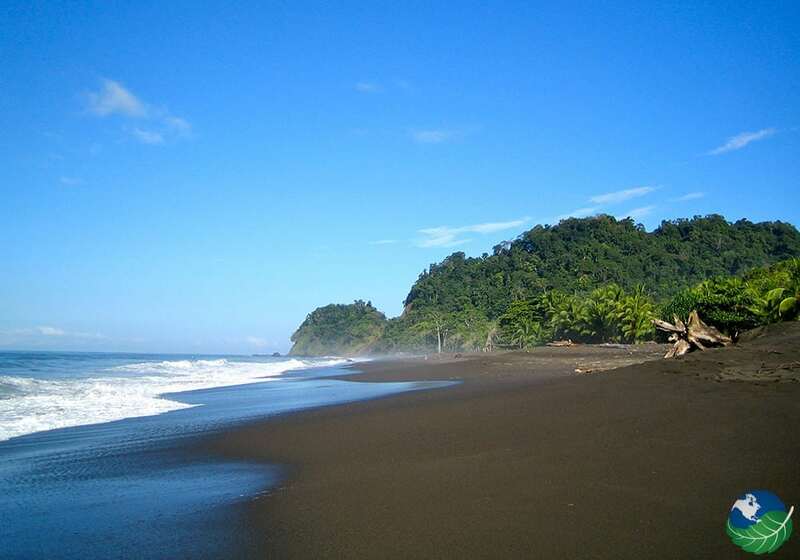 Playa Hermosa coast is known as a surfer destination. While surfing is great in Hermosa, swimming is potentially dangerous due to the high currents that are always present. Apprentice surfers should also be careful. Most beginners are usually directed to Jaco beach where the waves are more manageable or can even take their very first surfing lessons at Tamarindo. The little pueblo at Hermosa Beach mainly consists of hotels, cabins, and restaurants. You can take a day of your Costa Rica beach holiday to go deep into the jungle. You can explore the surrounding mountain ranges and wildlife, and if you feel like going shopping, Jaco is just 15 minutes away from Hermosa Beach and famous for its many bars and nightlife. Also known as one of the beaches with the most stunning unsets, Jaco is a great place to take a beachside walk in the evening. Don’t miss the crocodiles lounging in the river Tarcoles! People often stop at the bridge before you driving to Jaco, from there you can see many of the huge beasts basking on the river bank. The nearby Carara National Park is excellent for bird watching. It’s located in a transition zone between the tropical dry forests and the tropical rain forests, creating a unique habitat. 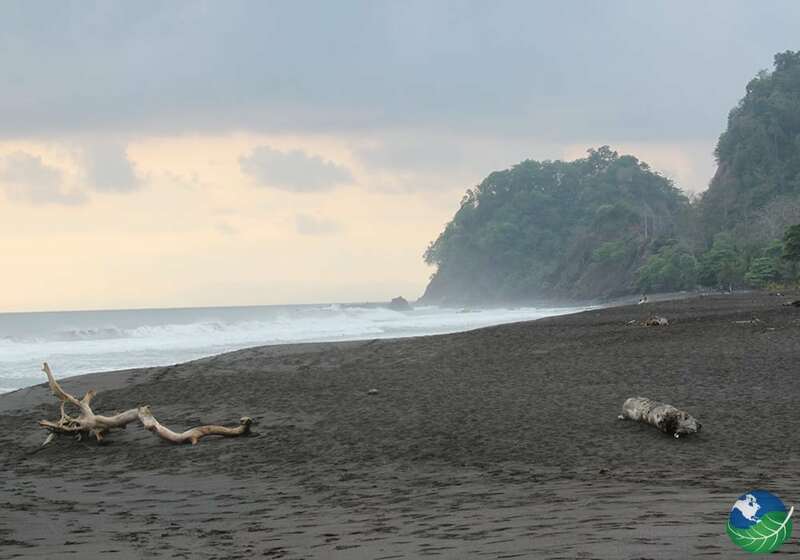 You can also visit the Playa Hermosa Wildlife Refuge, a sanctuary for the Olive Ridley Sea Turtle that nests on Hermosa Beach. A visit to the Central Pacific is not complete without a visit to the Manuel Antonio National Park. It may be one of the smallest national parks in Costa Rica, but it still has a wide selection of activities to offer. Go for a hike and spot birds, sloths and monkeys or try your hand a white-water rafting. You can also take a canopy tour complete with a thrilling zipline or take a horseback riding tour along the stunning shores. Visit between December and March: This is the Costa Rica dry season and your best chance for the long, sunny days Costa Rica is known for. Explore the Central Pacific area: The Central Pacific is known for its surfer beaches like Jaco, Hermosa and Dominical, but it also houses the stunning Manuel Antonio. Watch out for riptides: At Playa Hermosa as well as Jaco, you have to be careful for riptides. It is a good beach for surfing but not for swimming. Should you get caught in a riptide, make sure you swim parallel to the beach until you can free yourself. Shuttle transfers are an affordable and convenient way to get from San Jose to Playa Hermosa and cost around $90 for two adults. They are not private, however, and the shuttle will stop to pick up along the way. If you book through private transfer, the driver will take you straight where you need to be and you don’t have to worry about making stops for other passengers, but know that this can up the price to about 160 USD. You can rent a car upon your arrival to Costa Rica and benefit from the freedom you gain when you drive yourself. Bowie’s Point Bar & Restaurant offers delicious traditional dishes like Gallo Pinto and Casado. You are also welcome if you are a vegetarian! For the best ceviche and smoothies in town, pay a visit to Vida Hermosa Bar & Restaurant. Terraza del Pacifico is a stunning 3–star hotel at Hermosa de Jaco. Because of its location, Hotel Terraza del Pacifico sometimes referred to as a Surf House. Guests can take advantage of an interesting choice of activities and tours, the most famous being the Chiclets Tree Canopy Tour. The swimming pool is the perfect place for a cocktail and the Arenas Restaurant boasts spectacular views and delicious food. There is a bar located just on the beach with pleasant spots to relax and spend some lazy time while watching a gorgeous sunset.